“When planning for 2016, where should marketers even start? 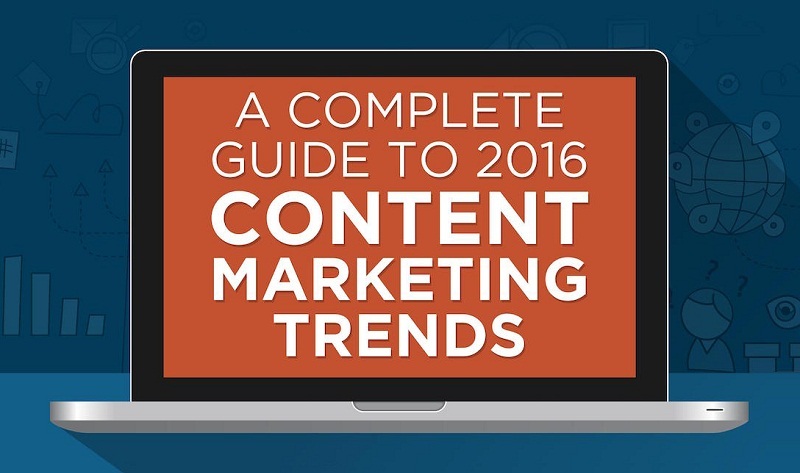 Take a look at this infographic, created by ZenContent, that reveals content marketing budgets, benchmarks and the key trends for 2016. User-Generated Content: 64 percent of millennials and 53 percent of baby boomers desire better options when it comes to sharing their opinions about brands online. Consumers trust users generated content (like reviews and videos) more than all other types of marketing media. Videos: In 2016, online videos are expected to double in amount to 1.5 Billion. Mobile App: Over 2 billion consumers are projected to have smartphones in 2016. Paid advertising/AdWords: With paid advertising, brands can target custom ads at a specific audience to improve their overall reach. Google Adwords is handy in setting a budget and discerning which keywords will generate better search ranking for written content. Paid Social Media: Investing in paid social media (Facebook targeted posts, Twitter ads, Pinterest promoted pins, etc.) sends your custom content out to a greater number of people via social channels, increasing your overall audience. It can also be an effective and quick way to measure what types of content your audience responds to most so that you can tailor your content even more in the future.